All through my months of injury, I have yearned for a return to my normality. Breaking up my solitary working days by running along the canal each lunchtime, smashing myself at parkrun on Saturday morning and then grinding out the long miles on Sunday. By such criteria, this was a normal week. I was beset with a grim, grotty, greeny cold which meant I slept poorly most nights, frequently waking in the early hours with coughing fits, but by the weekend I was feeling better. To achieve that, I knew that I would have to do a very long run on the Sunday, hopefully over the marathon distance. Given the paucity of miles run so far this year, that was going to be tough. Luckily, there was a Sunday Striders Group doing a 10 mile run early on Sunday morning with a rendezvous point about 5 miles from my house. So it was nice to knock off the first 15 or so miles with good company. As I peeled off to wend my way back toward my home village of Bramhope, I planned an extra loop of 10 miles down into Otley to make it 30 for the day. The only problem would be long and sombre 3 mile slog from Otley in the valley bottom back up to Bramhope. However, if there is one thing I need to practise for Comrades it is hills. I nipped back home for a 5 minute pitstop, wolfing down a flapjack, a mug of hot chocolate (it was blummin’ chilly) and a banana. After a change of t-shirt, I set off for my final 10 mile loop. 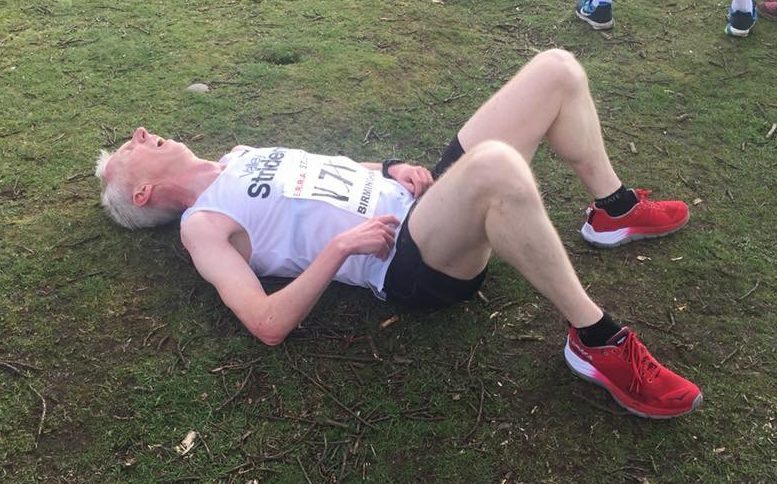 It was extremely tough, there are no shortcuts in this sport and my lack of training really told as I got slower and slower and by Otley town centre I’d lapsed into the death shuffle mode (i.e. 10 + minute miles). The final climb was interminable and I was extremely relieved to fall over my threshold after running for 30.3 miles in just 13 minutes under 5 hours.